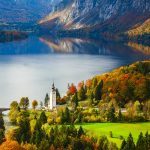 Bangkok or Thailand for that matter is usually the first stop for newbie backpackers, and a popular destination for budget travelers. 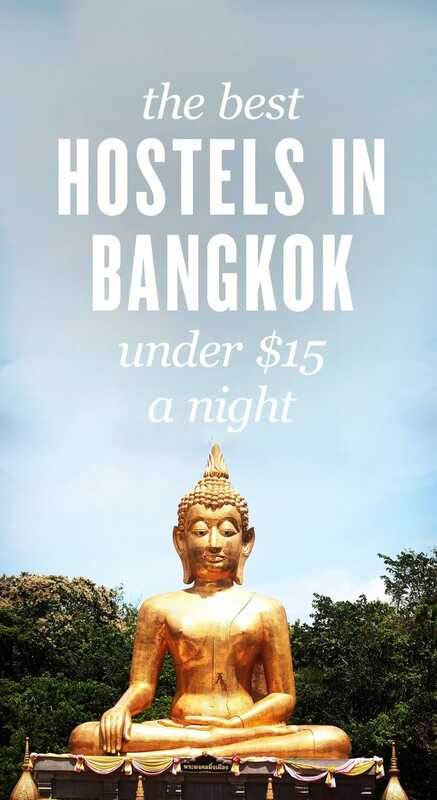 With action around every corner, gleaming temples, floating markets, delicious and cheap street food it’s imperative to make sure you are staying at one of the best hostels in Bangkok, so you are not far from the fun or the action. That’s why we complied this list just for you! So check it out! 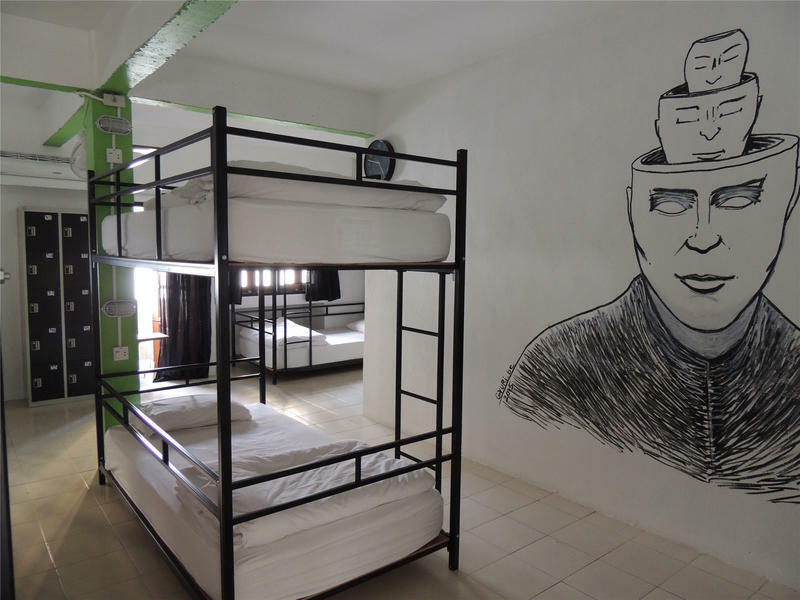 An impressive four-story building in a residential business area, Siamaze Hostel is decorated in traditional Thai décor – the rooms themselves feature drawings by local Thai artists. But Siamaze doesn’t stop here! 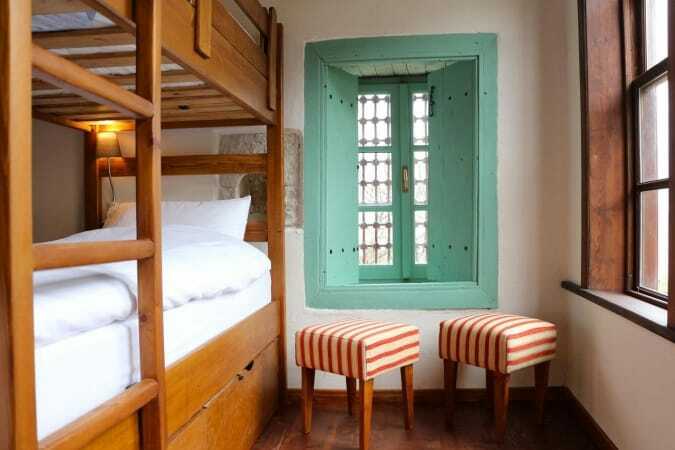 This hostel also offers free breakfast every morning, a pantry and luggage storage for its guests. Parking space is also offered to guests of Siamaze, ensuring that there’s never any inconvenience to you. Every Monday, Siamaze shakes things up with cooking classes where travelers can learn how to make delicious Thai food, and every Friday there’s a lively barbecue party. 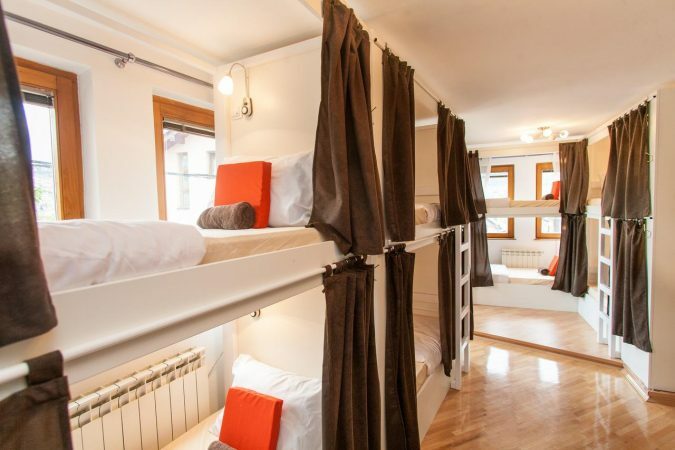 At Siamaze Hostel, you’re never short of a good time. In the famous Siam Square shopping district, Lub d Bangkok Siam was named the 8th best large hostel worldwide in 2011. This boutique-style building sits near to the MBE Mall. Stunning on the outside and even more exciting on the inside, this hostel has a common room and a TV room for guests to sit and unwind while getting to know each other or watching the latest film. Free DVDs are also on hand, as well as WiFi and an iron and ironing board, if needed. With a helpful staff ready to accommodate your every need, it’s no wonder Lub d Bangkok Siam has made quite a name for itself. Here, guests come back time and time again to receive stellar service, good food and an exciting story to add to their journey. Slumber Party Bangkok, formerly Bodega, has its home near Soi Cowboy, made famous from ‘The Hangover.’ Perfect for exploring the enticing culture of Bangkok while living in comfort, Slumber Party Bangkok is only 10 minutes from the subway, skytrain and ferries, but is certainly private enough to keep you away from the noise, hustle and bustle of the crowds. 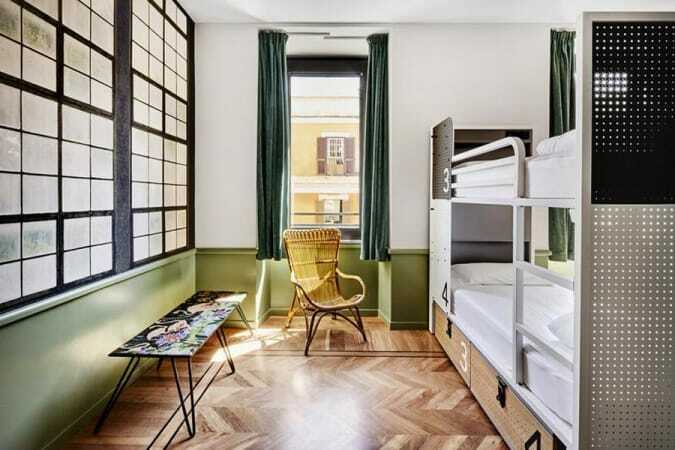 Housing small and large mixed dorms, this hostel equips its rooms with air conditioning, a fan, reading lights for each bed, linens and towels, among other goodies. Downstairs, the hostel café serves tasty local food and drinks, and often sees local musicians showcasing their talent. At reception, staff steps in to help you to organize tickets, as well as tours and other activities, during your stay. 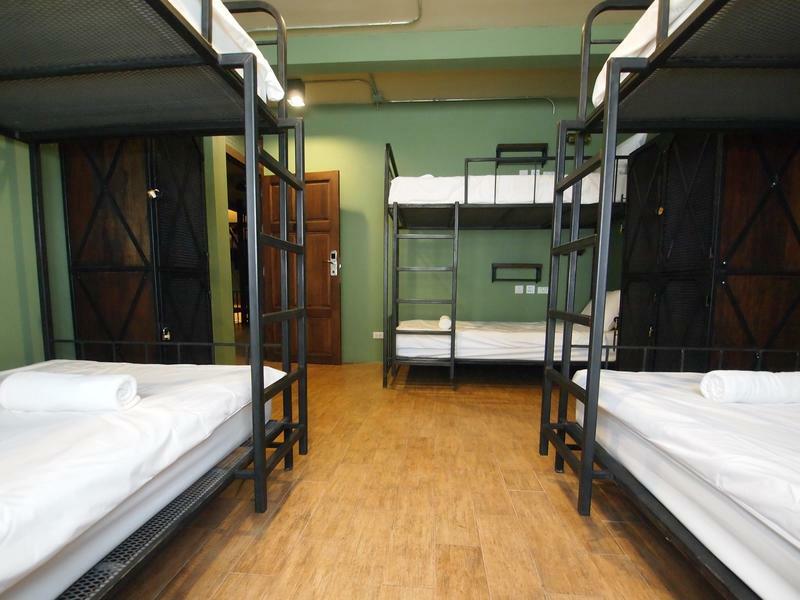 If you’re on a mission to experience Bangkok in the very best way possible, then Slumber Party Bangkok is one of the best hostels in Bangkok for you. 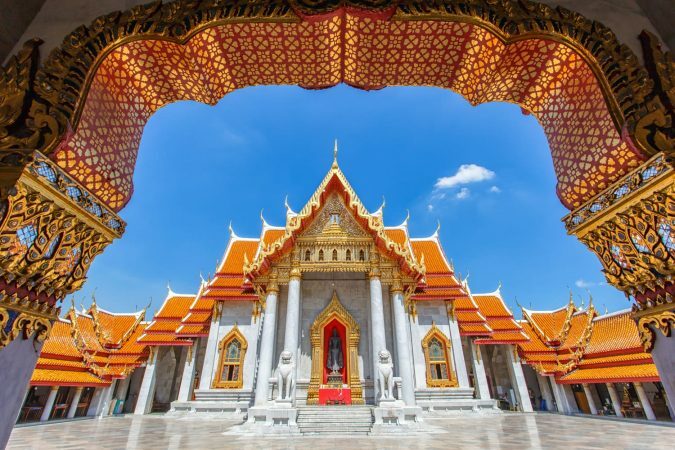 Located close to the Grand Palace and Wat Pho, Niras Bankoc is surrounded by temples and other pleasing sights of Bangkok. Far away from tourist crowds but close enough to the action, Niras Bankoc is a charming historic building with impeccable service. 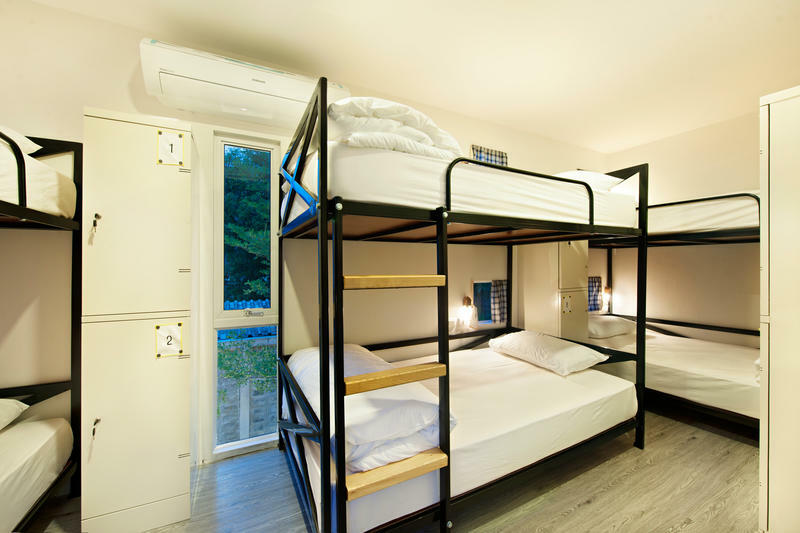 Twin, double and dorm rooms await weary backpackers, while common rooms offer a spot to relax, mingle and make friends. The convenience store next door stays open 24 hours a day, so you’re never left without what you need. DVD rentals and a free book exchange are also very well-loved at Niras Bankoc, where cinephiles and bookworms can find themselves in paradise. Though not a party hostel, Niras Bankoc still stands as one of Bangkok’s best hostels. 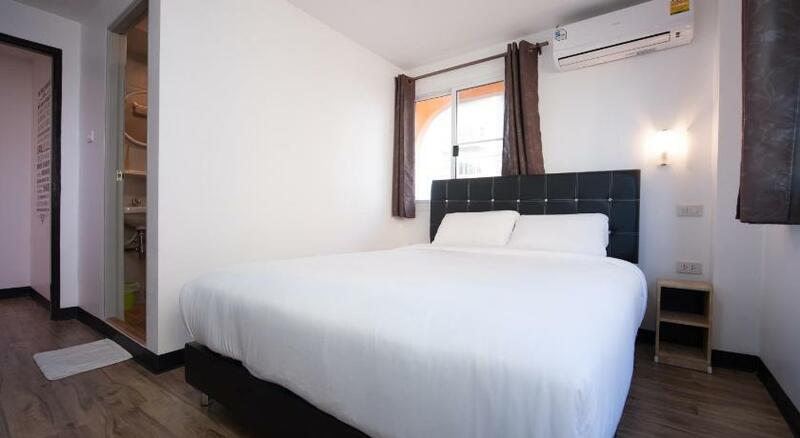 Conveniently located near Don Mueang Airport, Hoppers Place is the best hostel in Bangkok for people who have an early flight out of or a late flight into Bangkok. The hostel even provides a free airport drop-off for your convenience. The rooms at Hoppers Place are brand new and immaculately clean, and the staff is super friendly and helpful. Each room comes equipped with an AC, free WiFi and hot water. What more can one ask for? 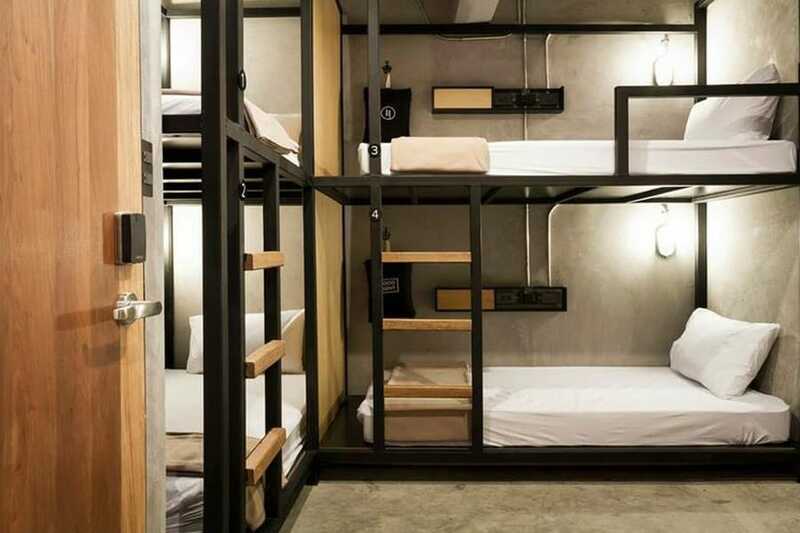 If you’re hungry for a good time, Bed Station Hostel is at the top of the list of best hostels in Bangkok. 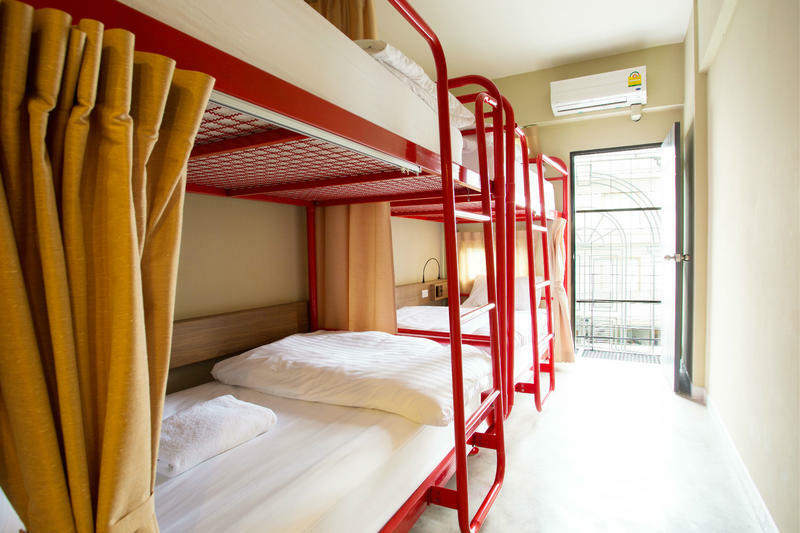 Located in the heart of Bangkok next to the BTS skytrain, this hostel is only a few minutes from the famous nightlife of Khao San Road, so there’s never far to travel if you’re looking for a night out on the town. With both private and shared rooms, this hostel offers free WiFi and breakfast, as well as an on-site café and bar for all of your food and drink needs. Bed Station guests are given key cards and CCTV cameras monitor the premises 24 hours a day, so you can be sure that you’re safe while you’re here. Also a coffee shop and bar, Good One Hostel proves that simplicity doesn’t mean lack of quality. 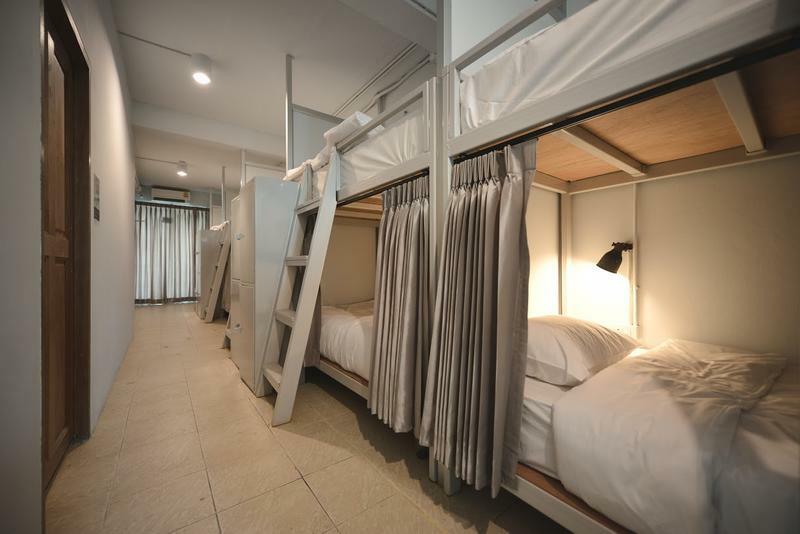 This hostel is located in Silom, a very popular part of Bangkok and a breathtaking area. 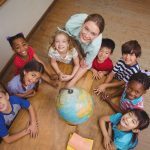 Travelers have the choice of female or mixed dorms, though every dorm has access to the free Wi-Fi and tasty breakfast that is offered. 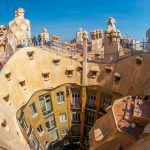 Towels, toiletries and lockers are all free, but make sure to pack your own pad lock and these other essential hostel items. 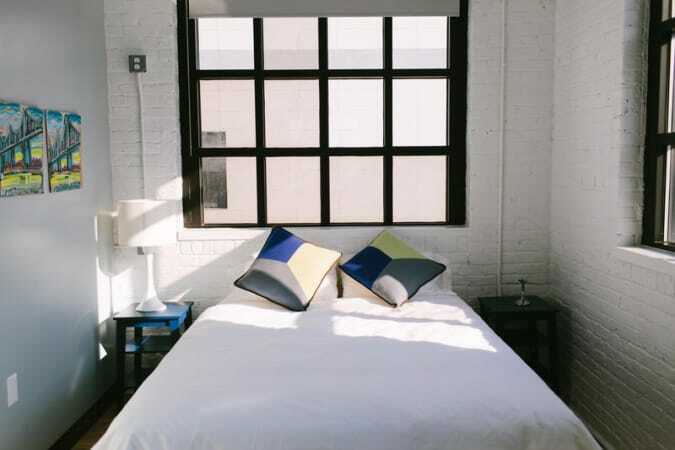 With the simple and laidback atmosphere you can form great relationships or enjoy a good night’s rest. Here at Good One Hostel, good food, a warm atmosphere and serenity are the trademarks. For an authentic Thai experience, Once Again Hostel is one of the best hostels in Bangkok. The experience is designed by travelers for travelers. Free Wi-Fi and tasty breakfast are included, as well as laundry services, luggage storage and a bike rental. However, Once Again goes a step further – its third-floor rooftop gives an amazing view of the city, whether it’s at sunset, sunrise or in the middle of the night. The hostel’s café and restaurant are always a great choice for some local food, and outside, the art, sights and music of Bangkok is all around. 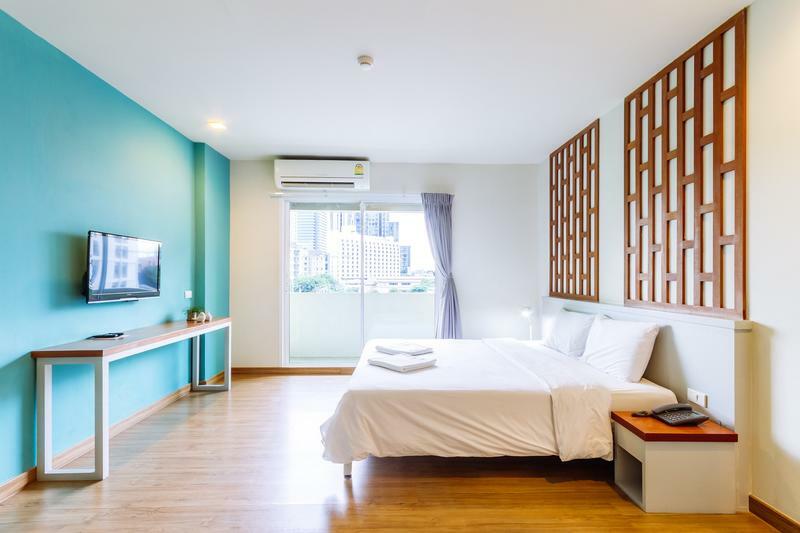 With clean, spacious rooms and extremely reasonable rates, Once Again is a good way to describe how guests flock back to this hostel every time they come to Bangkok. Next to Metal Castle, Here Hostel is a hostel with a little name, but its services are by no means so. At Here, traditional Thai design meets a modern twist in the stunning décor. There’s a cozy common room for socializing and chatting, whether it’s with your friends or new guests you’ve met. All of the dorms are air conditioned, and every bed has its own privacy curtains to give guests that group feeling while retaining their privacy. One of Here’s hidden gems is their slide – a slide from the dorm rooms down to the lobby takes guests on a fun and unexpected ride. Awarded the Certificate of Excellence by TripAdvisor in 2016, it’s easy to see just why guests love Here and why it’s one of the best hostels in Bangkok. Located near Grand Palace, D Hostel creates an experience that is simple and efficient. Rooms are stocked with great quality comfy mattresses, air conditioning and toiletries. With 24-hour reception, there’s no wrong time to seek help, and the hostel’s free WiFi and printing services come in handy. There are also computers for use, where guests can get information about tours and other activities in Bangkok. There’s also security 24/7, meaning that your safety is never an issue at D Hostel. 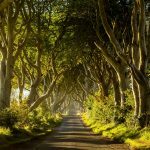 Walking tours, pub crawls and movie nights are commonplace here, and it’s certainly the best place to stay if you’re looking for a simple, straightforward stay with all the services you need. The Yard Hostel finds its home in Ari, Bangkok, a charming little area with tons of eateries and boutiques around. Its sleek, modern design is visually stunning, but things at The Yard go a bit deeper than looks. ‘Yard’ means relative, and this hostel truly reflects its name in the atmosphere created here. Guests and staff alike are known to mingle and form meaningful relationships, whether in the hammocks in the backyard or in the busy lobby. The rooms and beds are spacious, and all bathrooms are always clean and well-equipped, waiting to keep you refreshed. 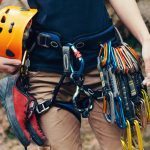 Staff members are helpful, polite and always present, which means that your time in The Yard will definitely leave you satisfied every time. This list is based on our personal experiences and/or reviews online. 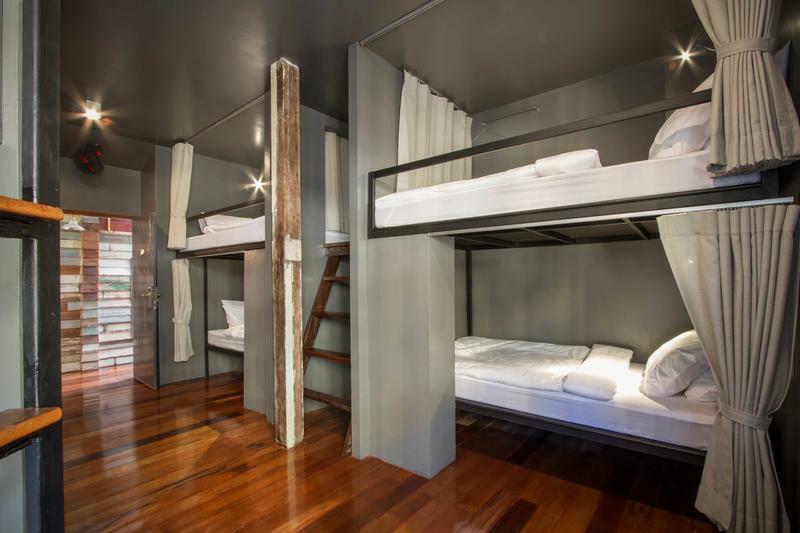 If you own a hostel in Bangkok that you would like to add to this list, email us at contact(at)roadaffair(dot)com with the subject: Best Hostels in Bangkok.